As Spain and Morocco feel the heat of the surge in migrants after the closure of the Balkan route and deterioration of security conditions in Libya, the EU is more divided than ever, with member states pursuing narrow national interests while ignoring the shared responsibility in managing migration. Spain has recently urged the EU to honor its promise to grant Morocco financial aid amounting to €30 million to help curb illegal migration. Earlier in August, EU Commission chief Jean-Claude Juncker promised to release €55 million from the emergency fund to help Morocco and Spain tackle the rise of illegal migration in the Western Mediterranean. 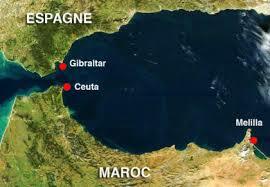 In July, the EU agreed to spend €55 million ($64 million) to help Tunisia and Morocco manage their frontiers. However, none of these promises have been upheld yet as Spain has indeed overtaken Greece and Italy this year with more than 43,000 arrivals mostly through dinghies from Morocco. This surge in illegal migration attempts pushed Spain to strengthen cooperation with its southern partner Morocco, a destination in itself undergoing extreme pressure to curb illegal crossings. Madrid has also asked Brussels to help Morocco logistically in order to tackle the migration challenge, Moroccan papers said citing well-informed sources. Spain and Morocco have been cooperating closely to counter all sorts of trafficking networks. At a meeting on September 14, officials in charge of migration reiterated their willingness to foster cooperation. During a visit to Rabat last week, Spain’s Secretary of State for Migration, Consuelo Rumi, praised Morocco’s “responsible engagement” in the fight against illegal immigration, noting that the role of the Kingdom in this area cannot be questioned. “Morocco honors its commitments and respects the agreements it has signed” in the fight against illegal migratory flows, Rumi said, underlining the need for a “shared and comprehensive” approach to fight the phenomenon. Older PostIs Moscow Planning to Exploit Libya’s Migration Routes to Destabilize the West?